There is a strange phenomenon that occurs when I know I have a special occasion coming up – suddenly nothing in my closet is suitable. So when I finally decided to take the plunge and travel to New York, a new wardrobe was in order. Ridiculous? Perhaps. But also fun! Cotton seemed like a good idea for what was likely to be a hot and humid trip. So it was off to the quilting cotton section . . . I know some people will cringe, but I have had a lot of luck with the quilting mid-weights. 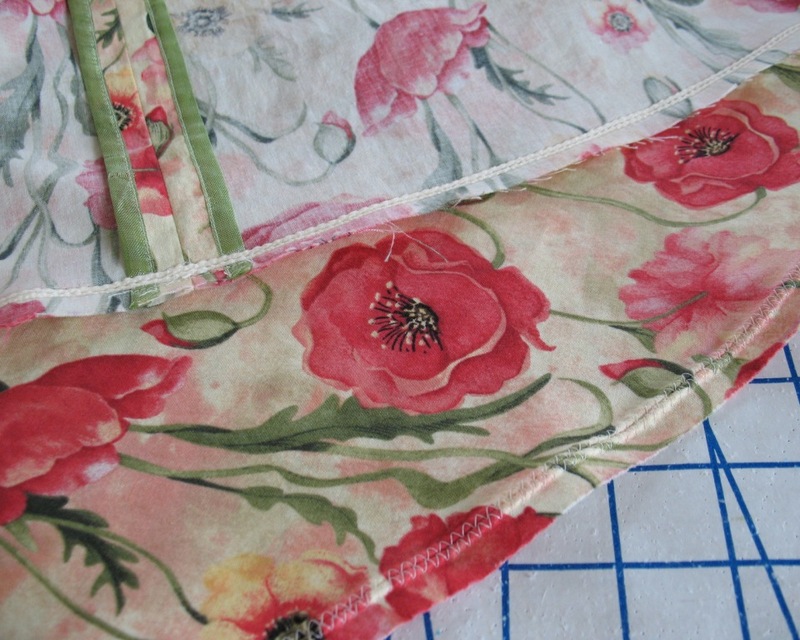 And Susan Winget’s “Poppy Garden” is some of the loveliest cotton I have worked with in a long time. I think this skirt is probably one of my favorite patterns ever (well, it is actually a dress, but I only made the complete outfit once. 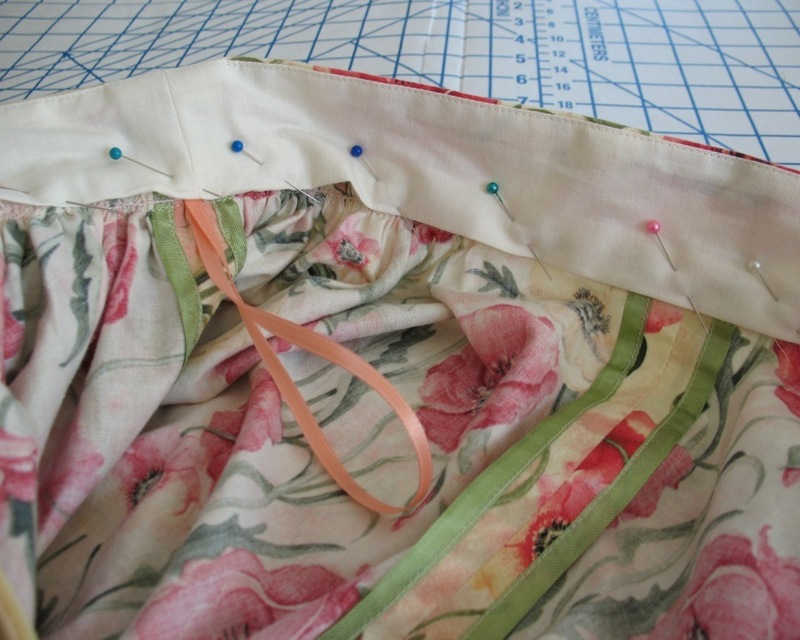 My first skirt version was made up in a novelty watermelon print, and also used to make one of my favorite petticoats. Since this is a dress pattern, I obviously needed to come up with a waistband. This one is shaped (smaller at the waistline, slightly larger at the top edge) - for any finished waistband wider than one inch, I find this to be more comfortable. And I moved the opening to the center back with an invisible zipper because I had a suitable color on hand. This time around, I decided a tea length skirt would be nice; mostly because I wasn't sure just how windy it might be and a knee length circle skirt can get a bit scandalous on windy streets. After washing the yardage, I squeezed as much length as possible out of the fabric width. That turned out to be only three inches, but I am happy with the result. 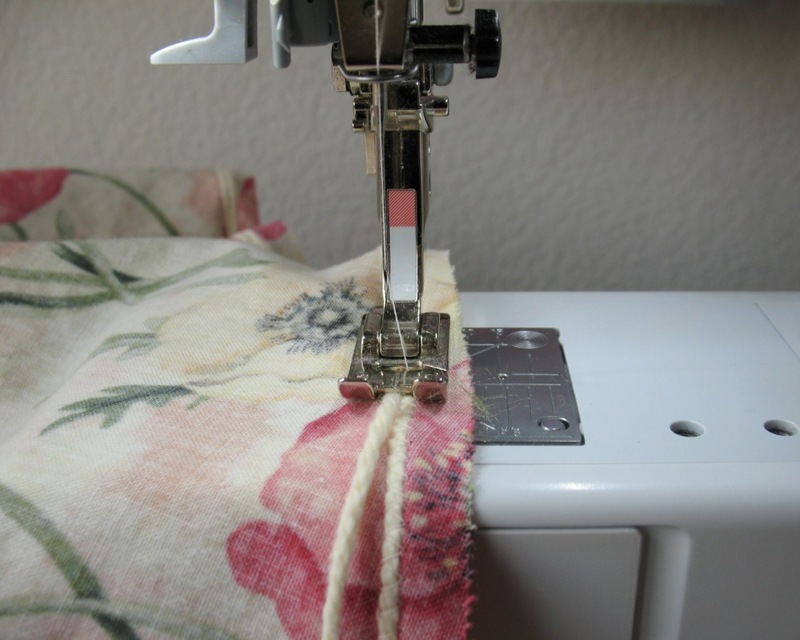 And instead of a standard two-fold hem, I added an extra step for myself this time around. Yarn was added to the hemline as a pseudo-corded treatment that I have seen in antique petticoats. This was the easy version using washed and dried cotton yarn and a zig-zag stitch. But it does help the hemline stand away from the body more than just a folded hem would have done, so mission accomplished! And there ends the first piece of my New York wardrobe. What a wonderful tip with the cotton yarn! I so enjoy reading about your adventures in sewing and knitting. Lovely work, I'll have to try the cotton cording tip as well; I've seen it used in Regency petticoats but hadn't thought about its applications for my modern wardrobe. I saw this skirt in action and you know how much I loved it! 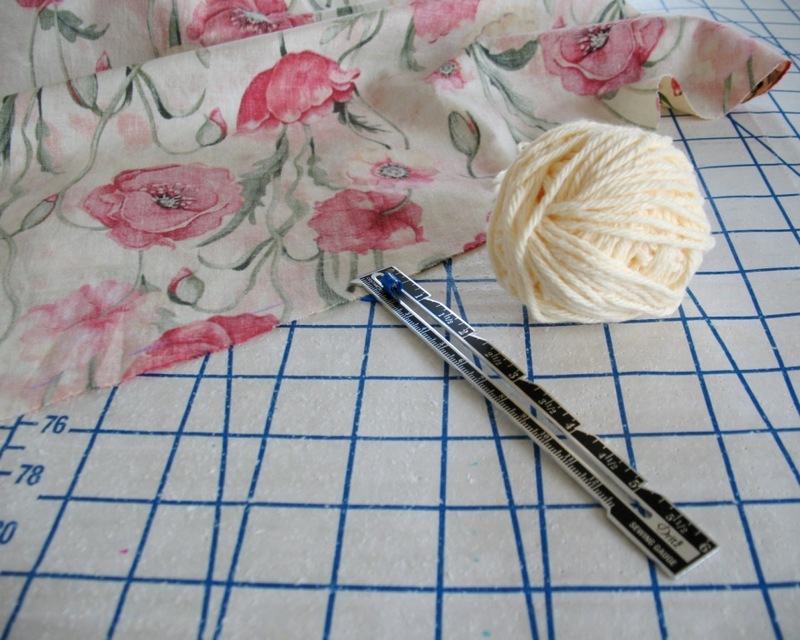 Couldn't believe you used a quilting cotton so not all quilting cottons are bad! No, they certainly are not!! Highly inappropriate for certain designs, but well-suited to others! 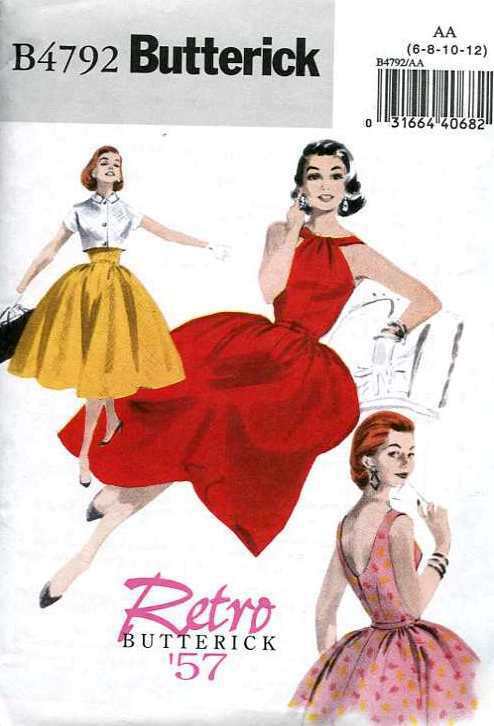 Is the ease of Butterick retro reproductions ridiculous? I have Butterick retro reproduction that I'd love to make, but the envelope has no information about finished measurements. Finished garment measurements are located on the pattern tissue itself, so you will have to open everything up in order to find those. It makes no sense to me, and McCall keeps saying they are going to put that information on the envelope, but we shall see . . . I almost always make a size 12 in Butterick (and McCall, Vogue, & Simplicity) and the reproductions are the same for me. Of course, strapless dresses generally have less ease than a shoulder and sleeved one, but my starting size choice has always been the same as the modern patterns. I hope you try one - they really are fun! It's beautiful! Did you fold the hem over the zigzagged yarn to finish? Also, can you talk about how you finished your vertical seams? Are they bias-bound? The hem is just a plain old double fold up. The only difference is that the yarn was first applied to the wrong side of the hemline and is now sitting inside the folds. Fascinating hem treatment. Thanks for that tip. 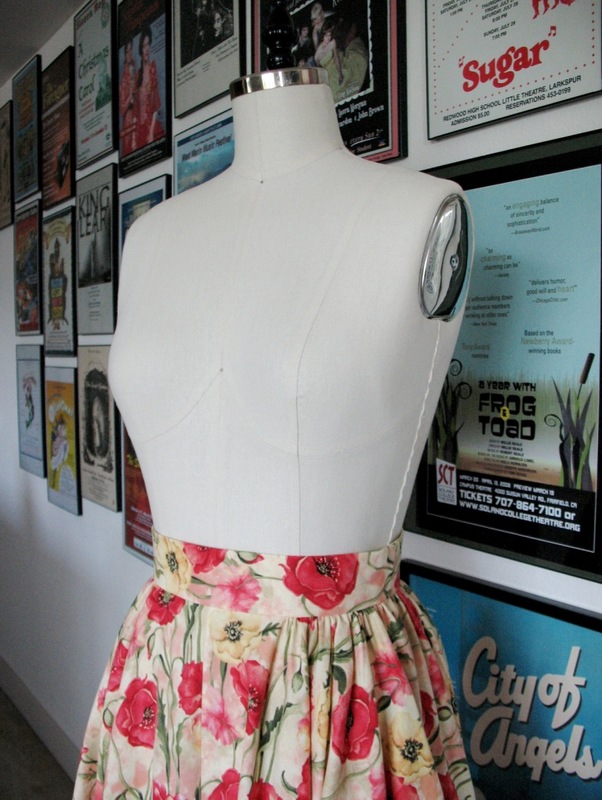 A beautiful skirt and lovely fabric. Very interesting technique for the hem. 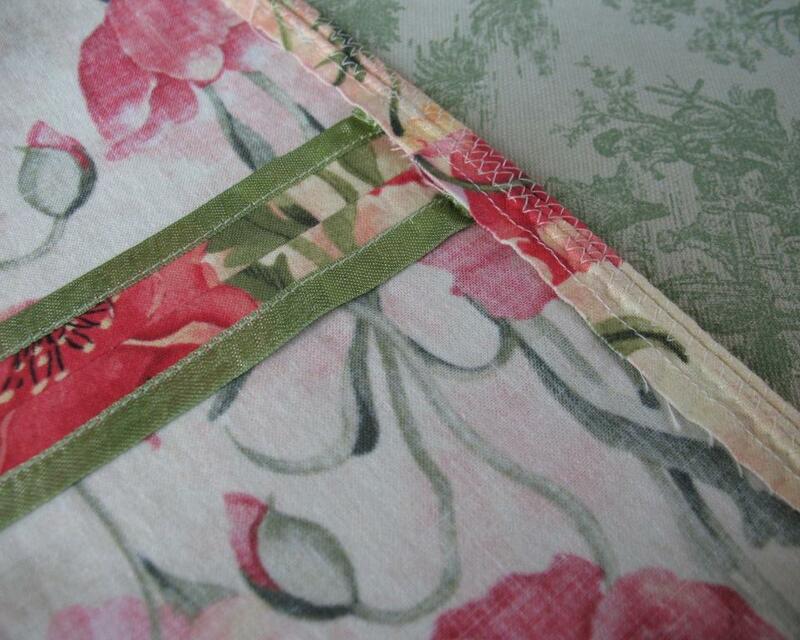 Pretty fabric! I, too, enjoy a good quilting cotton skirt, no matter what the detractors say. I am fascinated by your "cord" trim. Very clever! Isn't it funny how we can have a wardrobe full of handmade garments and still think we have "nothing" to wear when we go on a trip? :) I love that technique with yarn on the hem. Brilliant! Thank you for the tip re: yarn at the hem -- great idea! Such a lovely print -- perfect for a tea-length skirt. I loved your NY posts -- sounds like you had a wonderful trip! I really did! So glad I decided I NEEDED to visit N.Y.! That skirt is lovely! In fact, the entire outfit was lovely and perfect for a summer day here. Just so I'm clear, you zigzagged the yarn to the skirt hem, then turned it up and did a straight stitch? I've never seen that technique, but I'll definitely give it a try. That's right. I just applied the yarn to the wrong side of the fabric along the hemline, and turned it up twice. My preferred finish it to hand stitch a hem, so that is what I did. It might be a bumpy ride to try to straight stitch them hem; maybe a zipper or cord foot would do the trick? I completely understand the need for a new wardrobe when there's a special event coming up... I'm currently tempted to make A LOT of new things for my trip to Scotland next month. 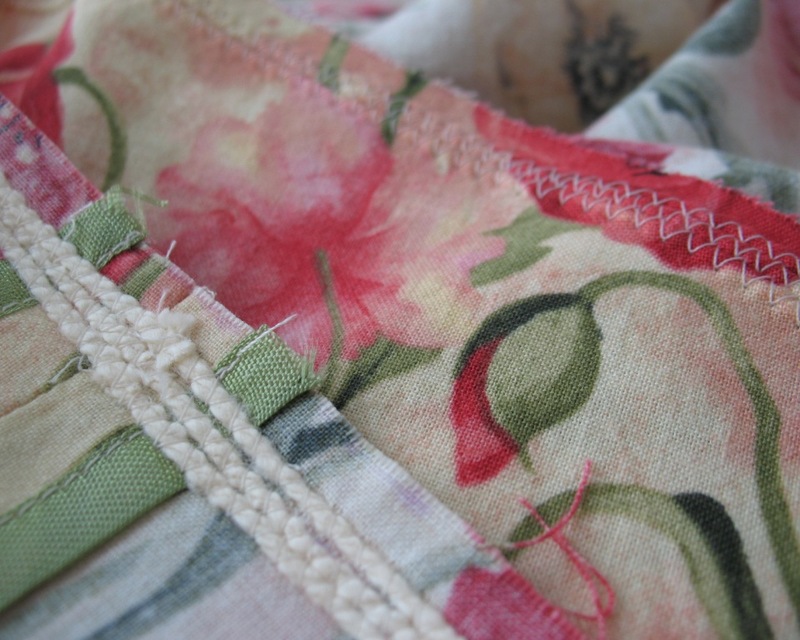 And the 'sort of cording' in the hem is a very interesting detail. I know corded hems were used in antique clothing and I've seen padded and quilted hems as well (thickly padded hems are also used in some types of kimonos). I've been thinking about incorporating such a detail myself, but I haven't tried it yet. Your version looks like a great not-too-labour-intensive or costume-y use of such a technique. It's always amazing how so many of us seem to be on the same creative cycles! Can't what to see what you do with your own version of cording! Your yarn trick is so interesting... even though big skirts scare me just a bit :) Your skirt looks lovely, and I can only imagine how refreshing you looked against the gray city. 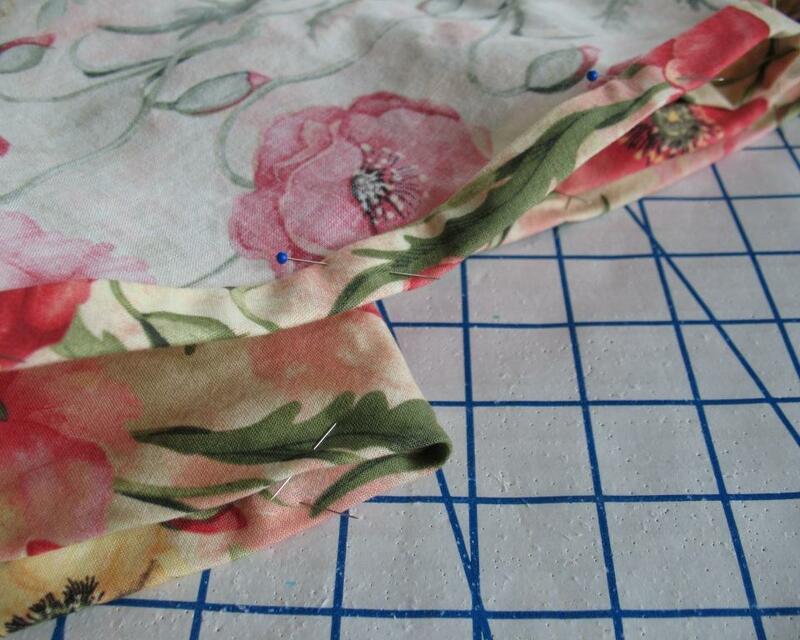 As far as quilting cottons go, if you can approve and can make it elegant, then anyone can! Love that fabric, and the hem treatment, too! I'm finding that a lot of my current sewing is driven by new techniques I'm seeing on blogs...no, this blog. Need just a little more structure and weight at the bottom of the skirt of the new lawn dress...and now I've got some yarn to preshrink. What a beautiful fabric! I can't believe it is quilting cotton - who knew? You made such a beautiful skirt and that yarn technique is wonderful. Thanks for sharing. Love the technique of using yarn to add weight to the hem. Do you always use three rows of yarn or does that vary depending on the weight of the material or is there some other deciding factor? I have only ever used this technique as decorative on the outside of a garment - this skirt was my first time trying it within a hem. Different weights of yarn would be necessary for different fabrics, and the number of rows would be individual preference. 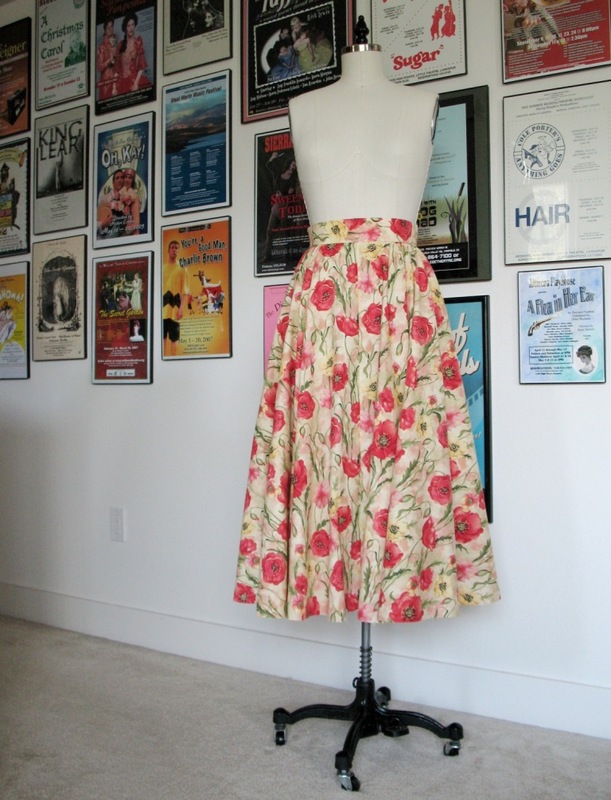 A circle skirt, for example, cannot have a very wide hem, so I was limited in the amount of rows I could use. Although, I suppose I could have made myself a facing. 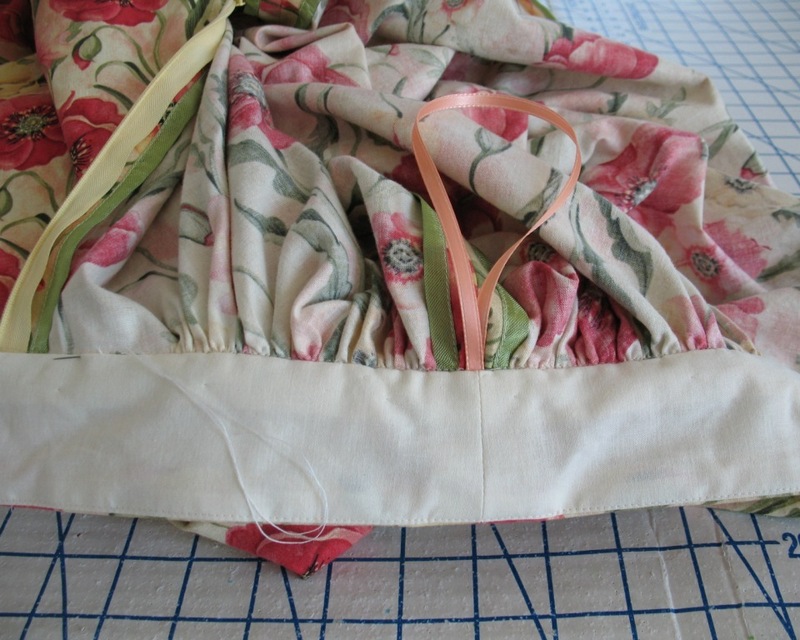 But antique petticoats often use a true cording technique the entire length of the skirt. Thank you for the tip. What a gorgeous skirt! Very pretty & I love your hemming technique...very inspiring! I love that pattern (and fabric) immensely! High and moderately high waisted skirts are a personal fave of mine, as they usually suit my hourglass shape splendidly. I can absolutely see why this timeless beauty is your fave! Like the idea of the hem weight, too. Less likely to blow up exposing too much skin if it is breezy.